Sam Giddy (Newport) photo by Matteo Dal Vera / Surfing NSW. The 2018 NSW HIF Bodyboard State Titles landed in Kiama Surf Beach today in what was an action-packed day of competition in playful two-foot wedges. Noah Gillroy (Maroubra), Blake Tabone (Ulladulla) and Mauricio Abrunhosa (Dee Why) all made their presence felt as they posted heat totals in excess of 13.00 points (out of a possible 20 points). All aforementioned bodyboarders performed an array of impressive rolls and spins to post their respective totals and seal a spot straight into the quarterfinals. Sam Giddy (Newport), Tom Walter (Kiama), Hunter Nicholls (Kiama), Noah Gillroy all followed suit in the Juniors (Under-18 Men) quarterfinals. All four bodyboarders will make their next appearance in the semi-finals as they look to seal themselves a spot into the NSW Bodyboard Team for the 2018 Australian Bodyboard Titles. Dilan Carestia (Maroubra), Zach Armytage (Wombarra) and Greg Arnold (Macmasters Beach) all claimed respective wins in the opening round of the hotly contested Drop Knee division. In the relatively low scoring heats, all three bodyboarders managed to get the upper hand thanks to a stylish repertoire of carves, turns and spins. They’ll make their next appearance in the semi-finals. The main location will be Kiama Surf beach located in the heart of Kiama back up locations are Jones Beach, Bombo Beach and Werri Beach. The competition will commence at 7:30am each day. The location, start time & running schedule will be confirmed daily after 6:45am by calling the event hotline number - 0458 247 212. 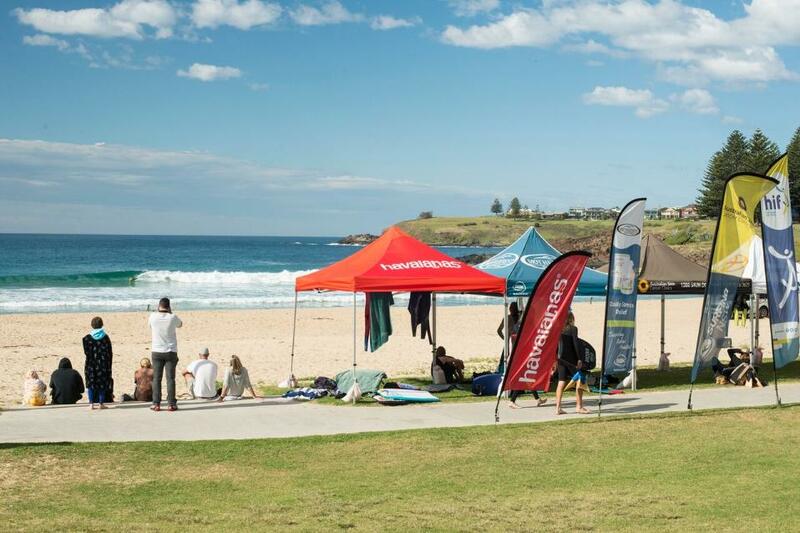 The NSW HIF Bodyboard State Titles are proudly supported by HIF, Kiama Council, AirAsia, Australian Skin Cancer Clinics, Toyota, Mothernest, Havaianas and Surfing NSW. HIF is a not-for-profit, all-about-choice health fund, providing a better choice of more affordable health insurance options and the freedom to choose the health care providers you want. And that’s why more and more people across the country are choosing to switch to HIF, one of Australia’s fastest growing health funds. See for yourself why HIF’s range of great-value Extras and Hospital cover options is so popular. Visit hif.com.au and use the handy online product selector to choose the ideal cover for your budget and lifestyle. The 2018 NSW HIF Bodyboard State Titles saw eight new NSW champions decided today as the event wrapped up in playful two-foot waves at Kiama Surf Beach. 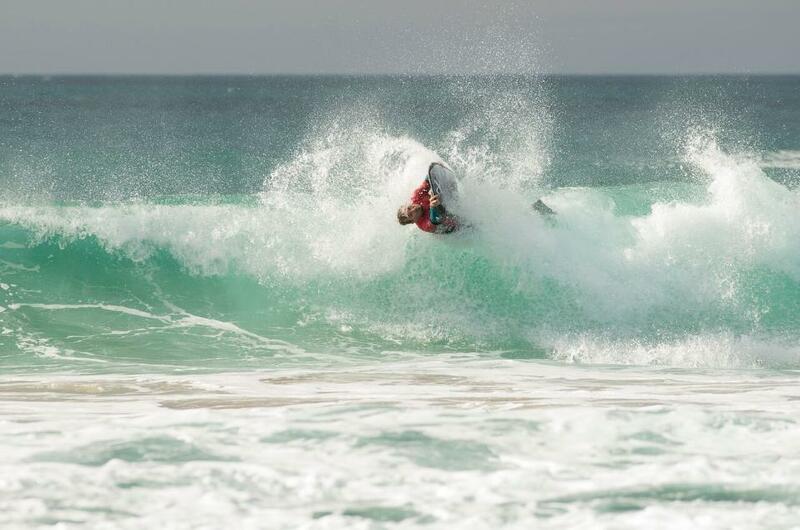 The results of the competition determined the NSW team for the upcoming Australian Bodyboard Titles in Tweed Heads in August. After finishing in the runner-up position in the Masters division in 2017, Mauricio Abrunhosa (Dee Why) was able to go one step further this year, claiming the Open Men’s division. Abrunhosa was able to overcome an in-form field of competitors to lock in a decent 14.24 two-wave heat total and claim the coveted division. Perennial Drop Knee division finalist and multiple NSW Title holder Zachary Armytage (Wombarra) added another accomplishment to his mantelpiece, taking out the Drop Knee division again in 2018. Armytage notched up a respectable 13.00 two-wave heat total over the course of the final to get the nod over Greg Arnold (Macmasters Beach) who finished in the runner-up position. Shauna Gillet (Martinsville) showed why she had claimed multiple Australian and NSW titles taking out the Open Women’s division. Gillet, Millie Chalker (Tuncurry) and Kaylah Pisani (Boat Harbour) all showed moments of brilliance over the course of their final heats, but Gillet was able to seal the deal thanks to posting an impressive 13.5 two-wave heat total in her second heat. Having finals appearances across the Juniors and Opens, Noah Gillroy (Maroubra) was able to ensure he walked away with one title to his name, taking out top honours in the younger division. Gillroy posted a 13.17 two-wave heat total to take the top spot ahead of Hayden Cruikshank (Belmont) who finished in the second position. All finals results can be seen below. The main location was Kiama Surf beach located in the heart of Kiama, with back up locations of Jones Beach, Bombo Beach and Werri Beach. Liam Douglas wins wave of the Day - photo by Harry Engel / Surfing NSW.